Chiron Studies allows students to design and teach official for-credit courses that are not currently offered by PSU. Collaborative, accessible classes are developed and taught by students. Not only do the instructors receive the unique experience of conducting their own college level course, they are also paid $1000. 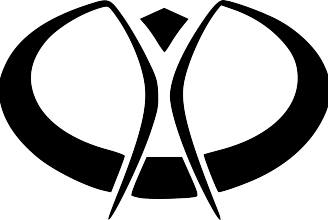 Burning Man is laboratory of social change for more informed civic participation. It can be a framework to transform communities. 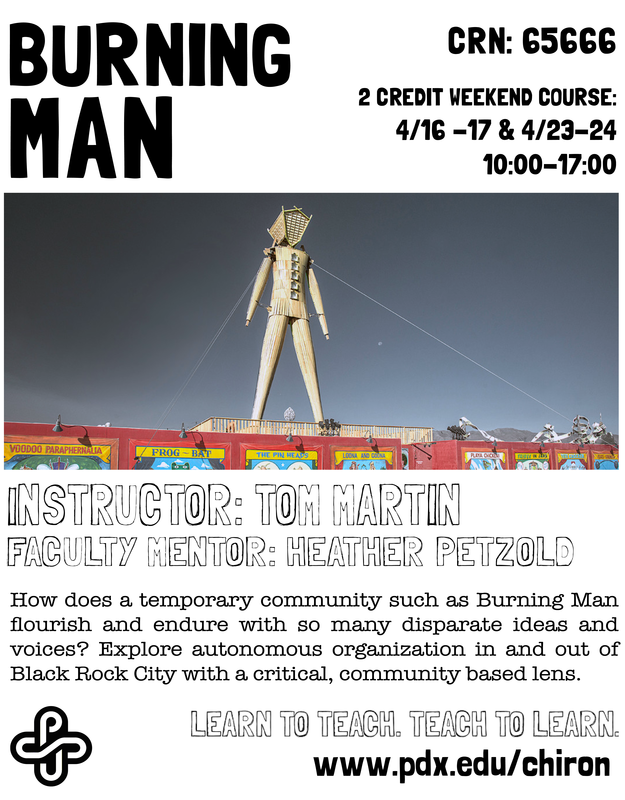 This course is a participatory examination of Burning Man: the temporary city that evokes dreams of permanence locally and worldwide. We will explore the concept of Black Rock City as a unique urban phenomenon, analyze how community thrives without a permanent geographic presence, and how creative chaos is facilitated, with costumes. Class experience will be based on participation, discussion and guest lectures. What’s in it for the students? A chance to take a unique and engaging course that will count as a general elective. Our instructors are passionate and often subject matter experts, embedded within their communities of study. If you are interested in teaching, take a class and see if student ­centered, democratic education is for you! The Temple (Filmed at Burning Man) from Already Alive on Vimeo.